Description: The Olympic rings on top of a ring target with a quill hit in the bullseye. A white shield with the text: HELSINKI A.I.P.S. U.L.-S.F. 1952. Other information: A.I.P.S. stands for the International Sports Press Association, U.L.-S.F. for the Sportswriters’ Association in Finland. 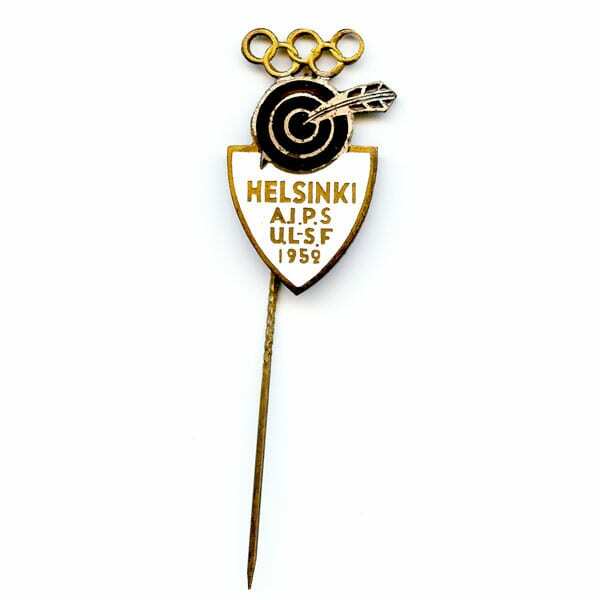 Badge of the AIPS congress held in connection with the Olympic Games.